The 45th Anniversary Super Deluxe Edition of Velvet Underground's debut album was released in the autumn of 2012 along with a shorter double CD bargain version. The second album White Light/White Heat was given a similar treatment the following autumn and - surprise-surprise - the third eponymous album was due last November, in time for the Christmas rush. By the end of September 1968 academically trained John Cale (bass, viola, organ and vocals) was told to leave the band. By early October Doug Yule (bass, organ and vocals) was installed as his successor and the band was back on the road. The album was recorded in Los Angeles in November and December and released in March the following year. For those only familiar with the more famous first two Velvet albums, the third might come as a shock. It is mild, relaxed and even close to optimistic in between. Gone were the distorted mayhem of "Sister Ray" on White Light/White Heat. This is quite as opposite from the predecessor as can be. "Pale Blue Eyes" is a sweet declaration of love, but with serious doubts. Probably the most classic Velvet ballad there is. The two most typical rock songs here "What Goes On" and "Beginning To See The Light" are not that special for Velvet Underground. But they're really cool and couldn't work in this way by anyone else than the Velvets or Lou Reed solo. The two remaining songs "Some Kinda Love" and "I'm Set Free" includes something close to ballad stuff with harder rock elements in between. The bass drum at the start of the latter even gives reverberations of Velvet's maybe strongest effort ever, "Venus In Furs" off the debut. The last two discs include live recordings from the club The Matrix in San Francisco on 26. and 27. November 1969. Of the 18 tracks, eleven are previously unreleased, six surfaced on the double LP 1969, The Velvet Underground Live originally released in 1974 and a 37 minutes version of "Sister Ray" was included on a live boxed set called The Quine Tapes from 2001. The set contains 17 songs from all the first four Velvet albums and the lost fourth one. It seems we are treated with different recordings from The Matrix of some of the songs also available on the 1969 live album. The most interesting among them is probably a longer version of "Over You". This song has only been available on the 1969 live album previously. The performances are characterised by fairly neat sounding guitars with less distortion than could be expected. Even "Sister Ray" sounds fairly nice, at least in between. 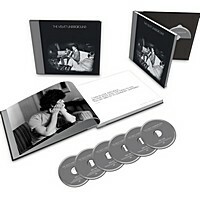 The new Deluxe 2 CD set of The Velvet Underground includes disc 1 of the Super Deluxe Edition and 12 highlights from the last two discs of live recordings, but only half of them previously unreleased. There we are, a grey little album judged by the cover. It was even less commercially successful than its two predecessors and never charted despite containing more easily available songs than the first two. Although being relatively soft and sweet, the production is far from the hi-fi kind. It has the rougher edges that also characterises the debut. Along with The Velvet Underground & Nico and White Light/White Heat, The Velvet Underground easily fits into my top 50 list of greatest albums of all times and of course deserves its expanded versions. But I guess the Super Deluxe Edition might be indispensable only for the fanatics and completists. For others a cheaper version of the album will do fine. You may also want to check out our Velvet Underground articles/reviews: The Velvet Underground & Nico : Deluxe Edition, White Light/White Heat - Deluxe/Super Deluxe Edition.